The Chevron Tang is aggressive towards other tangs but can coexist peacefully with other types of fish. It gets quite large, and needs at least a 180-gallon tank with plenty of room to swim. 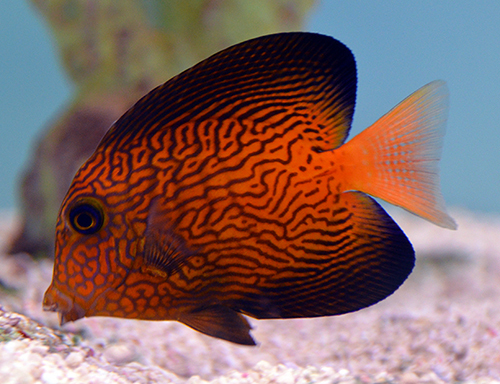 As a juvenile, this tang is bright orange with violet markings on the body and fins, but it turns olive brown with thin lines, and sometimes almost black as it reaches maturity.